Brand X (3) ‎– Is There Anything About? 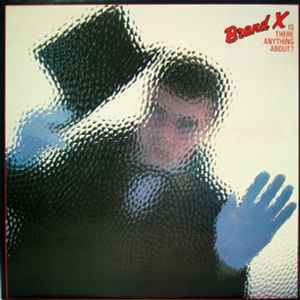 Some or all of this release consists of outtakes from previous LPs; it may have been "Brand X's Contractual Obligation Album". The title track, a fairly tasty jam, sounds like it was recorded earlier than the other tracks, probably during the sessions for "Unorthodox Behaviour" or "Moroccan Roll". Amusing Monty Python-style liner notes by Robin Lumley.